Three local Democrat House members seeking re-election next week are among the top beneficiaries of campaign cash raining down from House Speaker Mike Madigan, whose interests in recent weeks have been showered with trial bar greenbacks. 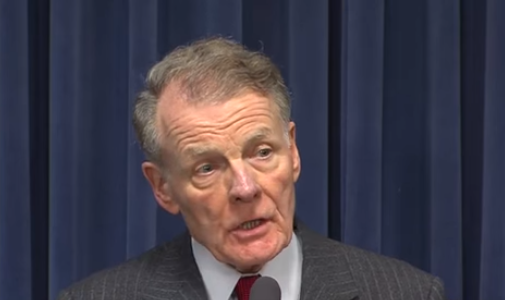 Throughout the year, these local legislators have benefited directly or indirectly from Madigan's purse - Rep. Monica Bristow (D-Alton), $127,775; Rep. Jerry Costello, II (D-Red Bud), $88,800 and Rep. Katie Stuart (D-Collinsville), $72,225. And two local firms are the biggest contributors among the top 15 trial lawyer-giving firms in the state - Simmons Hanly Conroy of Alton, $491,040; Gori Julian of Edwardsville, $449,574. Keefe, Keefe & Unsell made the list, but its contributions totaled only $34,275. According to records from the Illinois State Board of Elections, most of the cash contributed for the year by the top 15 - funds that are making their way to Madigan candidates - has come in September and October: $2.6 million of $3.4 million for the year. Simmons', which has been the most prolific filer of asbestos claims across the country, is the largest single source of contributions going toward Madigan-backed candidates or committees and Gori Julian, which has succeeded Simmons as the biggest asbestos filer, was the second greatest single source.